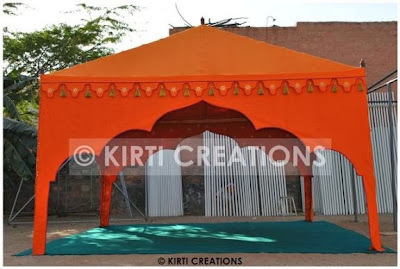 A small and stylish Native Indian Tent has simply external and designer internal section. This covering can be placed in a lawn or recreation area. It is water resistant and easily set up in the lawn.